So cute! Great work! I bet it would be fun to hitch a ride on a bumblebee! Seriously cute! 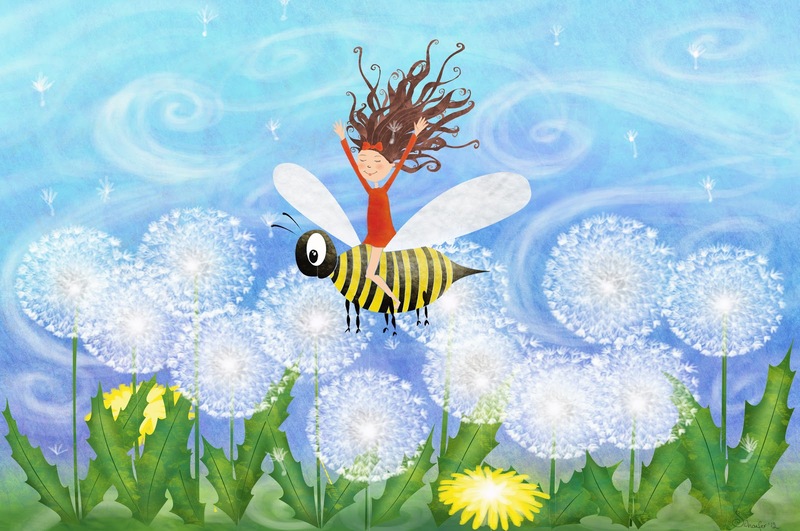 Love the dandelions and her big crazy hair!